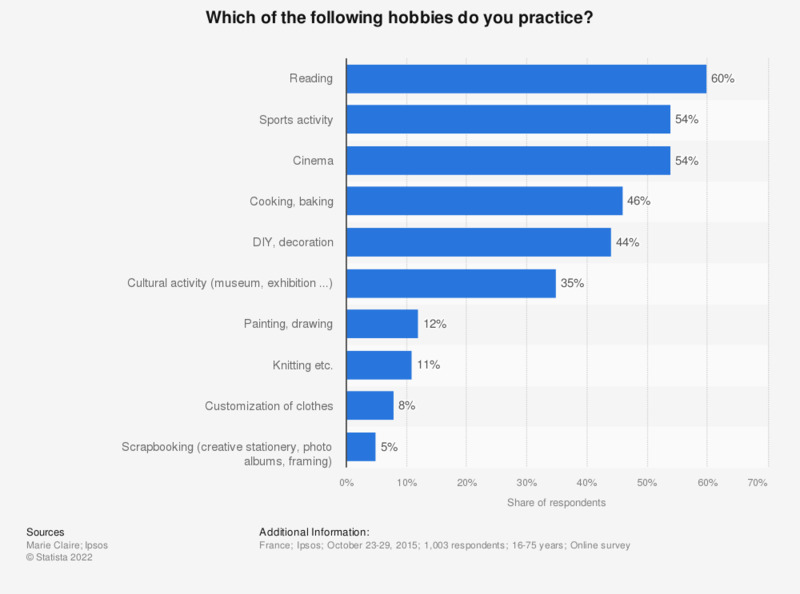 Which of the following hobbies do you practice? This statistic highlights the most popular leisure activities of the French in 2015. We learn that more than 40 percent of respondents said they practiced DIY and interior decoration during their free time. The source adds the following information: "The total of percentages is higher than 100 percent as several answers were possible."